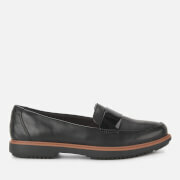 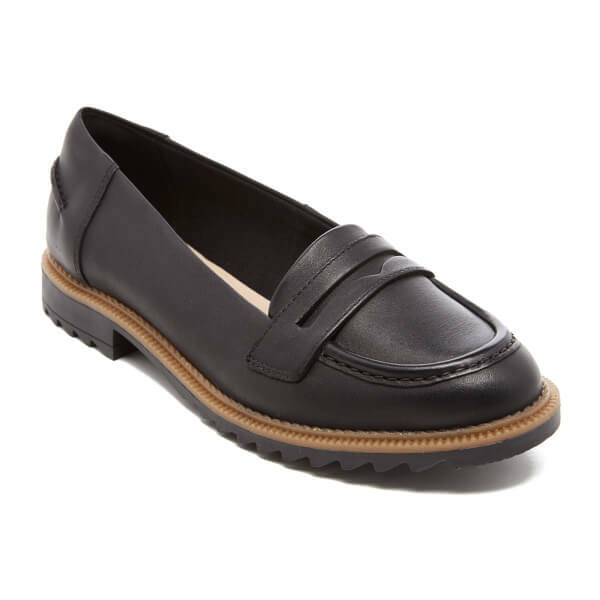 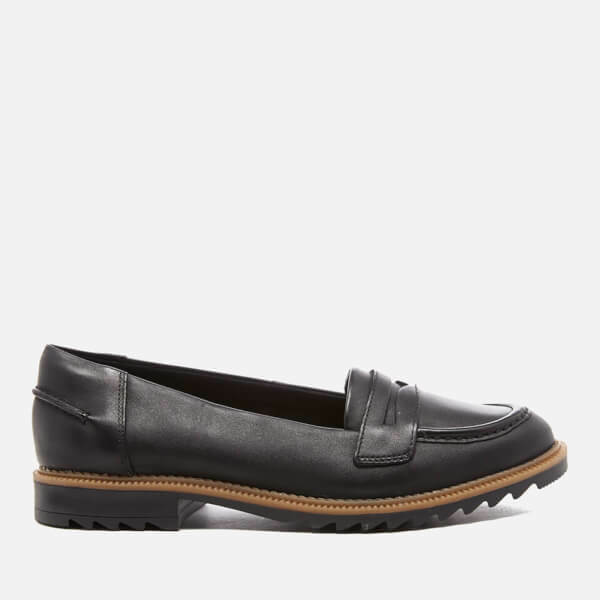 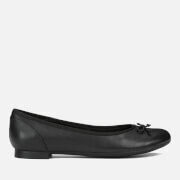 Women’s ‘Griffin Milly’ black leather loafers from the Clarks Somerset Collection. 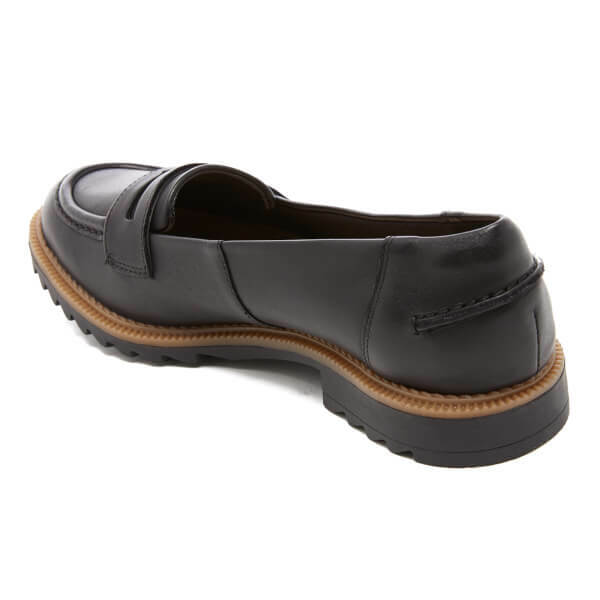 Crafted from smooth leather, the slip-on shoes are detailed with a moccasin stitched toe and a classic saddle strap across the upper. 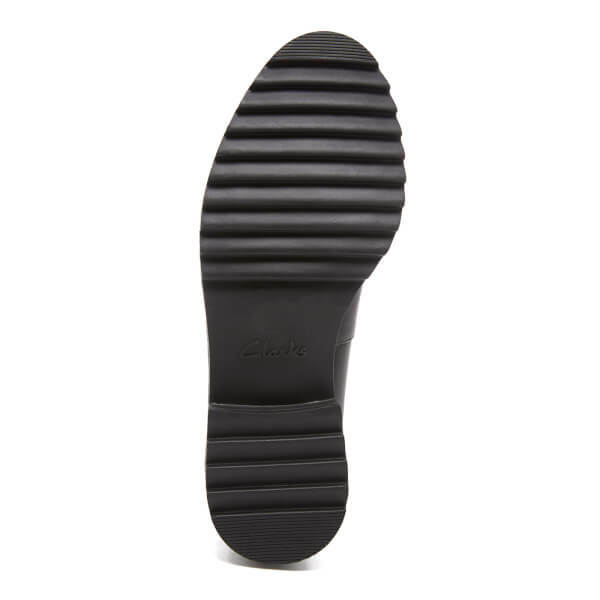 Set on a chunky razor cut rubber outsole, the shoes are finished with a gum rubber welt, raised detail on the heel and a Cushion Soft™ insole for all day comfort.